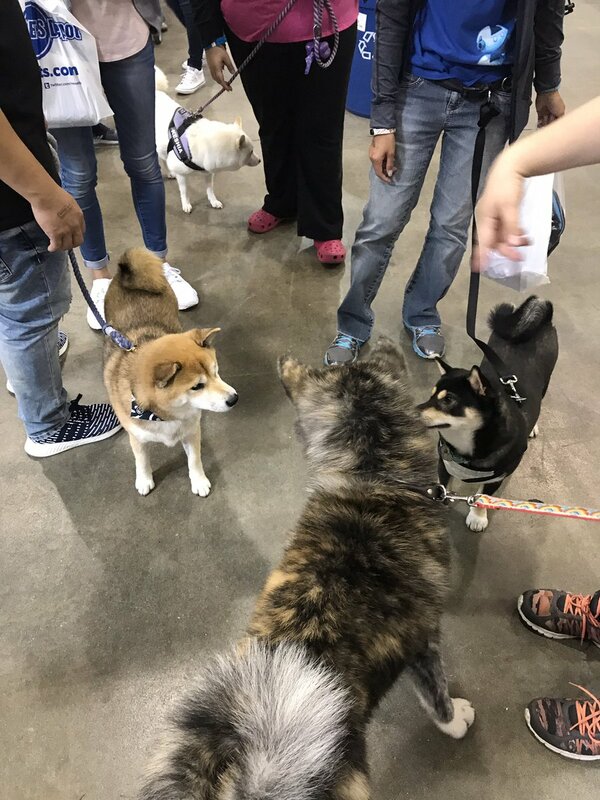 My bf and I attended the Toronto pet expo yesterday and to our surprise ran into 3 shiba (all the colours, too!) 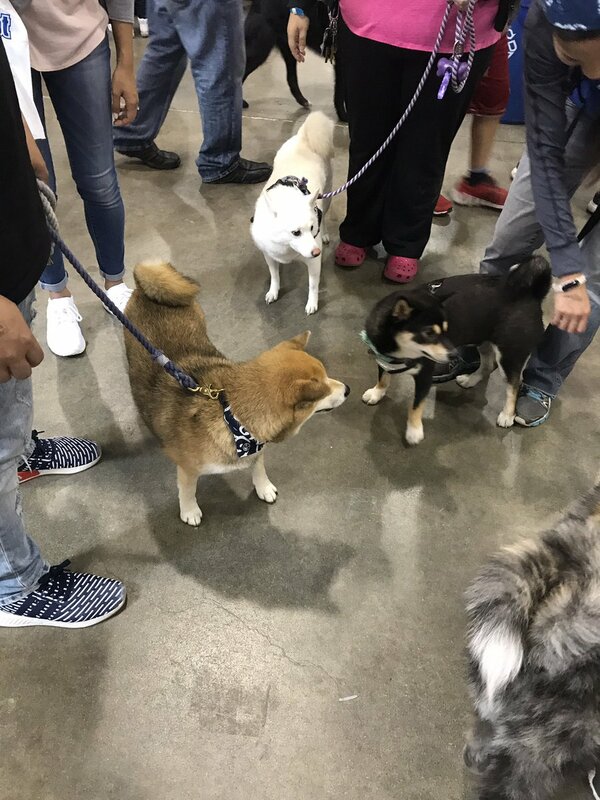 It was funny because Kouji was twice the size of the biggest shiba. He liked the black and tan, which was also a puppy, but he and the sesame hated each other (you can see the beginning of a stare down in the second pic).